In Search of . . . 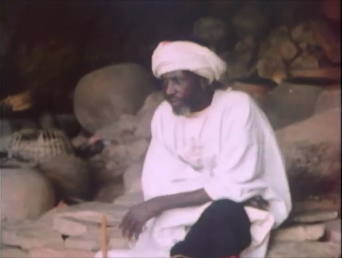 The Dark Star, is a 1979 episode of the classic documentary series that features the Dogon, a small African tribe, and explores the question how they discovered the location of a “dark star” unseen from Earth with naked eye. Is this just a coincidence, evidence of lost knowledge and technology, or proof that aliens once visited the planet Earth? The Dogon are an agricultural people residing in the nations of Burkina Faso and Mali in Central Africa, having emigrated from the west bank of the Niger River during the 10th to 13th Centuries. In approximately 1490, the Dogon were driven to the Bandiagara cliffs region to avoid Mossi kingdom horsemen, displacing or absorbing the original inhabitants. (“Kuba”). What is extraordinary about the Dogon is the claim that their oral traditions also include tales of an invisible star and its orbit from which visitors, known as the nummo, came to share their knowledge with them. Alien astronaut theorists have jumped on this claim as proof of visitors from another planet. The Dogon use a digeridoo-type musical instrument, recreating the “voice” of the star, for calling together those who are learning the oral traditions from the elders. This ritual has been going on for hundreds of years, perhaps back to the time of their finding refuge in this region in the late 15th Century. Astronomical information, such as Saturn, only seen with a telescope, or Jupiter and several of its moons, is relayed in the gathering. More mysterious, however, is the tale of a sacred star invisible to the naked eye from where mysterious beings came to share their knowledge with the Dogon. This tale reportedly goes back hundreds of years to the time of their diaspora to the Bandiagara cliffs. French anthropologists Marcel Griaule and Germain Dieterlen first learned about the tale of the invisible sacred star during their work with the Dogon in the 1930s and 1940s (“Sirius”). The Dogan star, Sirius B, was later confirmed to exist in 1950 using an advanced telescope, and right where the Dogon said it would be. The Dogon’s sigui dance ritual takes place every 60 years — identical to the orbit of Sirius B — and includes wide circling movements by the dancers [note: some sources say this is a 50-year cycle]. Is this evidence of alien visitation? Lost knowledge and technology? The Dogon originally fled from a region controlled by Timbuktu in Mali, not far from the Niger River. A center of trade and political power at the time the Dogon fled the area, one could speculate that the Dogon’s oral traditions preserve lost African or Arabic knowledge acquired at Timbuktu. Some European knowledge could also have been mixed in over the years, and one cannot dismiss bad translations and cultural misunderstandings. 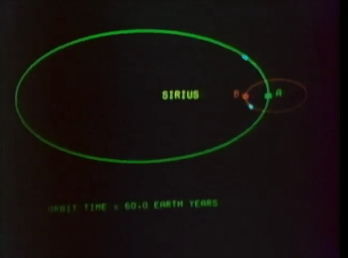 The big mystery, however, regards the origins of the sigui ritual which emulates the orbit of Sirius B and marks when the star and Earth are closest to each other. How the Dogon could have identified a star invisible to the naked eye is a mystery. It is quite possibly a coincidence considering that the odds of a star being located in any direction we point is pretty high. Carl Sagan himself addressed the question of the Dogon's dark star and their acquisition of knowledge. 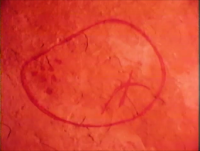 In his book Broca's Brain, Sagan claims that accurate conjecture about planetary orbits, while uncommon, is not beyond the capabilities of pre-modern technology civilizations. Further, Robert Burnham, who wrote Burnham's Celestial Handbook, claims Sirius B can be seen on a clear night sky with a 10-inch reflecting telescope (“Sirius”). This leaves open the possibility that Sirius B may have been discovered by a civilization more advanced than the Dogon, but decidedly Earth-bound, and one which had knowledge of telescopic lens. This, I think, is more likely and more remarkable than a deus ex machina explanation of an alien visitation. Even so, this is a hypothesis, not proof, and it’s a mystery whose answer is still worth going in search of . . .
“Sirius Matters: Alien Contact.” Chandra Chronicles, 28 Nov. 2000.